At the party, you will gather all kids or children altogether in one room, preferable up to the age of 18 and turn off the lights. It is more important if it is in a not so big room but can accommodate the number of people inside. Room has to be with at least table, couch or chair to climb on to and no glass or breakables. Before the start of the game, all feet should be standing on the ground barefoot and no socks then the master or the person in charge of the game will have a luminous wand with an image shadow of an elf running inside the room. But this wand should not be shown to the kids because this is the props that the master will have to scare the kids. Master should be fast so it will not be obvious that it is just a toy. 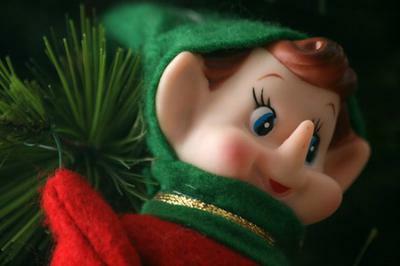 Blink the wand on and off so kids will not look at the wand and see the image of the elf. It has to be an expert master so he will not get caught... then on top of that, while doing the blinking running of the supposedly fake ELF, the master will portray and voice over a scary voice and story about the elf running back and forth, even touching the feet of the kids making them believe that an elf is running over the room and passing their feet and make them believe that it is gonna get you.. If you think that the kids already are feeling scared, and you are secured that, it is time to give them the shock of their lives, that is the time, you try to scare the hell out of one kid saying it is on top of his or her foot and boom, you will shout like it is really there then the whole room with kids in it will begin shouting and most likely crying of fear. And at the end, you will reveal then the truth of the game because you do not want them to have bad nightmares as they sleep at night and the parents will be mad at you. Join the community and write your own page! Simply click here and contribute to Your Scary Games and Scary Sleepover Stories!.